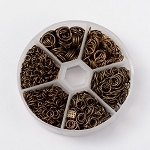 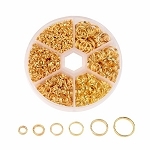 These are steel jump rings jewelry findings with mixed finishes, There is gold, silver, antique bronze, black or gun metal and sort of an antique copper color also nickel which matches what some sellers call platinum or white. 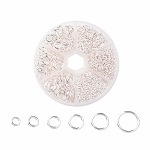 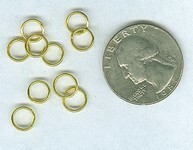 The diameter of these rings is 6mm which is a pretty common and useful size. 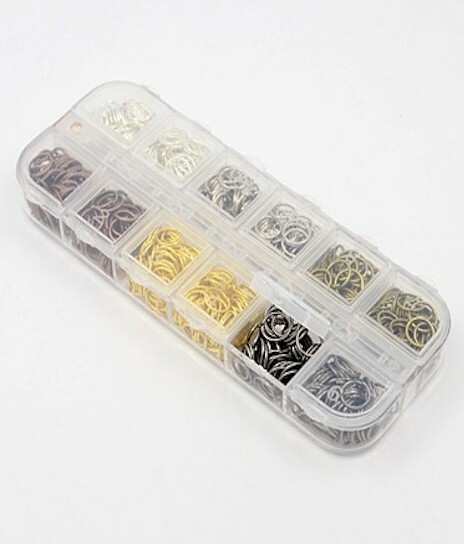 Thickness is about .7mm You are getting about 2 ounces of rings all together, the case they come in is pretty tough and snaps closed firmly.